Every dog has a story. 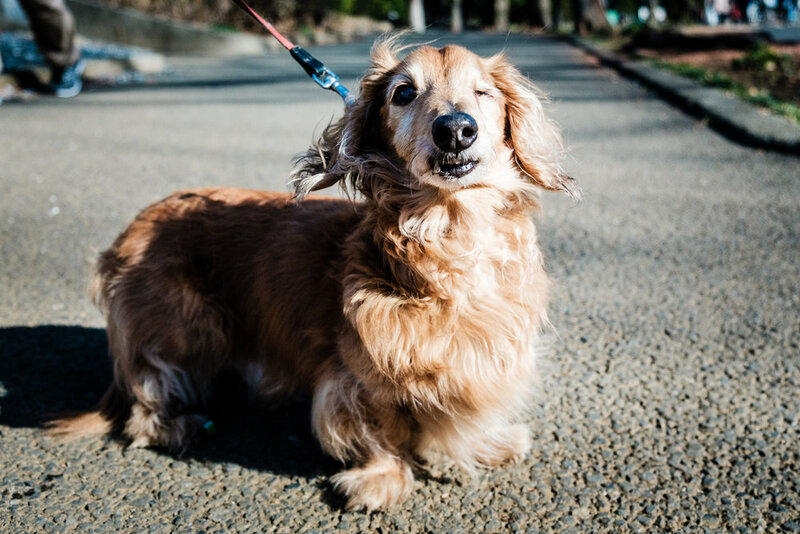 Long John is missing one eye, what had caused him losing one eye was unknown, he was also abandoned and left on the street, but he got lucky because if he would have picked up by Tokyo’s animal control division his chances of survival would be in doubt. People in Japan are not too fond adopting animals, specially don’t want an adult dog even if they have a chance to adopt one. They want to get a dog when it is still young because of their cuteness. It is arduous to convince the public to adopt abandoned pets, but things have improved slightly in recent years and it still has a long way to go. His new owner now is a lady and she has taken a really good care of him. Long John may seem like a shy little Dachshund specially to people, but he is absolutely photogenic in front of the camera.